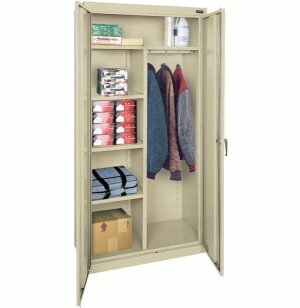 Looking for a wardrobe cabinet that combines shelving and hanging space? 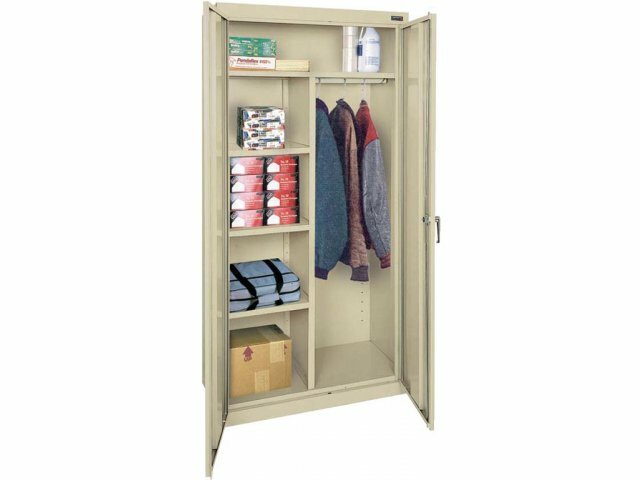 These office cabinets include a space for everything with a full top shelf, three adjustable side shelves and a garment rod. Versatile: With a full length top shelf, side shelves and a hanging rod, these wardrobe cabinets have spaces that are suitable for a variety of items. Side shelves are 21" wide. Hanging space is 15" wide.